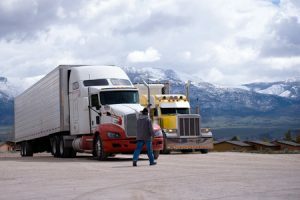 How Truck Drivers Can Avoid Feeling Burned Out | Platinum Drivers Inc.
Like any job, trucking can get “old” and “tiresome.” When you do the same thing, over and over, for 40 to 90 hours a week, it can lead to burnout. If the actual job doesn’t wear you out, the co-workers and/or interactions with “the boss” might, right? Trucking is a delicate balance between many entities, including the customer, the management, other drivers on the road, and yourself. How you interact with all these entities can either make you love your job… or suffer from burnout. Long haul drivers have it the worst. While “normal” office workers have 40 hour work weeks and get to go home to their families each weeknight, long haul drivers are out on the road for days (and nights) at a time, covering long, long distances. What are some things truckers can do to avoid exhaustion and/or burnout? First, whenever possible, sleep at night to match your body’s natural inclination to sleep when it’s dark outside and nighttime. Next, eat healthier than you do now. Instead of trying to radically change your diet from pizza and pop to “health foods,” make attainable weekly goals that you can actually accomplish on the road to feeling and looking better… For instance, this week, choose to drink at least one bottle of water per day and eliminate one bottle of pop or Red Bull per day. Instead of ordering fries with your burger, substitute broccoli at the diner this week. Also, take breaks. Don’t just “work through them.” Physically and mentally allow yourself to have time in your day when you don’t do anything. You should have a time to close your eyes and think, and/or listen to music and “zone out.” This is a good thing when you’re not on the road. Anytime you can take a break and forget about work for a little while is a good thing. Oh, and about vacations? Take them, too! You cannot NOT afford to take vacations. You need time to rest, recharge and reconnect with family and friends outside of work. Some truckers brag they never take vacations. Well, they’re missing out! Finally, thanks to electronic logs, you can’t really fudge numbers and cheat the system these days. Therefore, you can rest easy that someone else isn’t putting in “double hours” while you’re resting and “losing out on money.” The playing field is level. If you’re looking for reliable truck drivers or if you would like join a truck driver employment agency, contact Platinum Drivers today.